It's been awhile since we last compiled a Movie Edit. I have just returned from London & Paris yesterday, so I'm thankful that my team members were able to attend the advance screenings and review them for me. Have you seen any great movies lately? I went to see Fifty Shades Darker on Valentine's Day in London and actually preferred it to the first one. I've taken a short break to gain fresh inspiration and I am back with full of bright ideas! Connect with us on Instagram @PinkandSparklesNZ. Logan. A name which has long been synonymous with the legendary mutant, Wolverine, becomes another series in the X-Men films delivered to us in an emphatic fashion by Hugh Jackman. Bringing the same raw emotion and energy to the character he has portrayed for over a decade, Jackman’s enactment leaves nothing hanging as we are treated to over two hours’ of action packed fighting, hilarity and even moments of human connection in what was an applause worthy film. The scene is set in Texas and from the get go, we see a very different Logan from the one we have come to know over the years. He is weak, ageing and his regenerative abilities don’t appear to be functioning. Driving around in a Chrysler limousine, we quickly establish that he’s working as a high end chauffeur looking to make a lot of loot in a short period of time. We soon find out that with the aid of another mutant, he had been hiding Professor X (Charles Xavier) somewhere in the outback desert of Texas. Charles like Logan no longer had the invincibility that once typified him. Instead, we are presented with a seizure stricken mutant whose illness has the power to harm those around him. We learn that Logan had been keeping Charles captive to keep him safe from being hunted down by a bio-weaponry company called Transigen. Logan’s objective is to make enough loot so he and Charles can buy a boat and head off to sea. This path however takes a dramatic turn. Upon completing one of his jobs, Logan is confronted by a woman named Gabriela. She introduces herself to him asking for his protection in exchange for loot. Disinterested, Logan quickly rejects the offer but yet is confronted again soon after she requests for his services. Gabriela explains who she was and how she was trying to get her young companion Laura to safety. She tells Logan about a place called Eden in South Dakota to take Laura for her protection. Logan soon finds out that Laura is his daughter. Gabriela briefs Logan on her former employer Transigen, a company that created engineered mutants by implanting mutant DNA into the wombs of Mexican women. After much kicking, screaming and some convincing from Charles, Logan helps Laura get to Eden. Of the course of their journey to Eden, the viewers are left in suspense as to what happened to the other X Men, how Charles and Logan acquired their illnesses and the series of events that led them to their life on the road. The film constantly builds towards unveiling the past but we are only offered a single nugget when Charles remembers after a well-rested sleep that it was his fault. A series of scenes involving a lot of bloodshed and brutality follows with some eye popping action as Logan fights a clone of himself called Weapon 24. Engineered by Transigen, this clone was an exact replica of Logan with insatiable rage. With Laura’s help, Logan fights Weapon 24 off and the two of them continued on their path to Eden. Over the course of their road trip together, the father and daughter duo rarely seemed to bond well. Logan’s inexperience with children was apparent but his effort was admirable to say the least. As the journey to Eden went on, his health declined more and more. Finally with Laura taking the wheels of the car, the two eventually arrive at Eden. There, they got the rest they needed but this along with their safety was short lived. Transigen’s men come after Laura and her friends who had escaped the facility. Logan finds himself having to fulfil his role as protector again as he chases the hunters and mercilessly kills them, but not ease. His health had waned significantly and only with Laura’s help was he able to finish the hunters and Weapon 24. Logan and Laura share a poignant father and daughter moment before emotion and tears engulf the theatre. It’s not long before the scene fades to black and the audience is left with an unforgettable performance in what some remark as the changing of the guards in the Wolverine franchise. Hugh Jackman’s acting in this film was exceptional and having to portray a different side to the character after having established a form of invincibility was remarkable. Dafne Keen’s portrayal of Laura also established a high performance for a character those not in the comic world know about. The fighting scenes were orchestrated to perfection (which can be expected from a Wolverine film). No details of blood and guts were left out but this film captured me with the development of Logan and Laura’s tense relationship, which ended with an emotional flare of love. This film is certainly worth the watch and gets a 4/5 from me. I must have missed the day in school when they were teaching us about the ancient conflict along The Great Wall of China between humankind and monsters but thankfully the Hollywood and Chinese film industries got together to fill the gaps in my historical education. With a $150million budget, and the most expensive movie made in China to this date,Zhang Yimou’s The Great Wall is about an 11th CenturyEuropean mercenary called William, venturing to Asia in search of gun-powder, who gets caught up in a legendary battle between the valiant forces of the Chinese army and an invasion force of rampaging monsters. With such an absurd fantastical premise propelling the film I was hoping for something as manic and beautiful as George Miller’s Mad Max: Fury Road. Unfortunately while the set pieces involved in the battle scenes are imaginative, The Great Wall is more interested in channelling serious fantasy epics like The Lord of the Rings to find its tone instead. However, without providing the compelling dialogue oremotional gravitas that those earlier films conveyed, this tonal choice can come across as dull and much less fun. This is exacerbated by a heavily telegraphed plot that was constantly giving away too much about what was about to happen next, thus extinguishing any real apprehension or tension, that the storyline could have provided. The movie is probably best described as a medieval version of Starship Troopers, just replacing that film’s political undertones for more simplistic themes about purpose and trust, while featuring a similarlyoutnumbered but efficient army facing off against a creature adversary. With the director of Hero and The House of Flying Daggersbehind the cameras a certain amount of colour, pageantry and splendour can be expected. While all of that is present, Yimouhas restrained himself and his usual lush visuals are not as all-encompassing this time. Set around the Great Wall and itsoutlying rocky terrain, the film consists of a brooding colour palette of stony greys and smokey blacks, with the vibrant colour-coded armour of the Chinese troops to liven it up. It is only later towards the film’s climax that we start to see the colourful vistas one normally expects of Yimou’scinematography. There are a few odd edits and strange camera moves near the opening of the movie that give it an early amateurish vibe, but Yimou’s deft direction seems to find a more stable footing once the action moves to the iconic man-made structure and the epic battles that take place there. The film has faced accusations of white-washing and that itsuffers from the dated western colonial fantasy of a white man saving another culture. At the same time, there does seem to have been a genuine effort to utilise both Hollywood and Chinese talent, within the cast and the crew, to create a truly multicultural blockbuster that will appeal to a range of audiences around the world. I think the film’s culpability to these culturally insensitive charges will be decided bywhatever attitude the viewer held going in as it does little to really dissuade away from these ideas. With a shifting series of European accents going on, Matt Damon is the headlining actor and is afforded the most character development out of the rest of the cast with his William going from corruptible thief to noble hero as the tale plays out. William’s moral code is challenged by a fearless warrioress called Lin Mae, played by Tian Jing, who is a commander of the Nameless Order of soldiers protecting the world from the Taotie monsters. The character seemed very young to be given so much responsibility but when you have people bungee-jumping off the Great Wall to stabmythological beasts with spears I guess some suspension of disbelief about ancient military hierarchy is within reason. Despite being the secondary character, Commander Lin is unfortunately a rather one-dimensional personality, displayinga permanent expression of mild concern etched into her features for most of the movie. Willem Dafoe is saddled with a rather thankless part in the narrative that probably should have been removed in an earlier draft, while Chilean actor Pedro Pascal (from Game of Thrones fame) fares better playing Tovar, William’s ever-angry travelling companion and a source of much needed comic relief to proceedings. Andy Lau rounds out the main cast playing the military strategist who conveniently seems to know everything about the monsters and what needs to be done to defeat them. The creature design of the monstrous Taotie from Chinese mythology was interesting, yet I was surprised to discover the variety and sizes of the enemy creatures did not continue throughout the movie, establishing all there was to these fictional enemies very early on in the film. While some visual effects in the movie came across as a little obviously fake, the compositing of the Taotie into shots with the actors was mostly believable and effective. 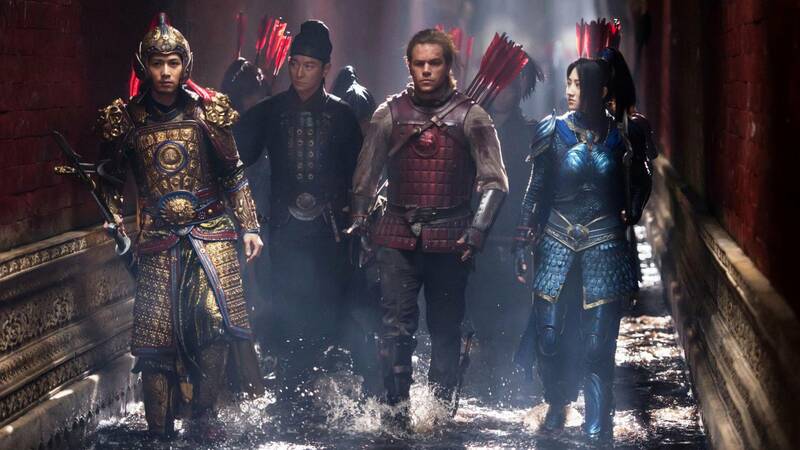 Overall, The Great Wall will certainly have its detractors and the main fault in the film lies with the screenplay which fails to explore the ideas the movie presents or embrace the campy fun the premise held. The film admittedly does feel like a series of weak dialogue scenes stuck between an extendedmovie-length battle scene with a high production value.However, if you are fine with a ‘creature feature’ that is allstyle over substance then find yourself the biggest and noisiesttheatre session to watch this in as this is really what the movie is intended for; just indulging in the sheer action spectacle of human warriors slicing and exploding their way through hordes of bloodthirsty beasts hell-bent on invading China, and ultimately the world. Skull Island. A name that sounds more terrifying than not, graces the title of the newly released instalment of King Kong. Hosting a star studded lined up of actors like Tom Hiddleston and Samuel L. Jackson, it appeared on paper ready to deliver a spectacular performance that would leave its viewers going ape. However, after sitting through nearly two hours of King Kong beating his chest and claiming his place as the dominant beast of Skull Island, I came to conclude that this movie neede more than an oversized ape and epic fighting scenes to leave the theatre inspired. The film is set during the Vietnam War. Bill Randa, played by John Goodman, leads an expedition to the mysterious Skull Island with the help of Preston Packard (Samuel L. Jackson) and James Conrad (Tom Hiddleston). The objective of the visit to the treacherous island is masked behind the deception of determining the geological response of the island’s soil and rocks to explosives. Viewers quickly discover the true nature of the visit when King Kong makes his emphatic appearance by taking down Packard’s entire helicopter fleet. The so called ‘research’ trip to Skull Island had in fact become a hunt for giant animal species. Packard and his companions soon learnt that the hunters would soon become the hunted. Packard’s initial shorthanded encounter with Kong left him enraged to avenge the loss of his fallen soldiers. For the next hour or so, we find him plotting his retaliation against Kong. Meanwhile, we find Conrad and the other survivors desperately looking for a way out of the Island. They make their way towards a predetermined escape point north of the island. Along their travels, they bump into an American war pilot who had crash landed there decades prior to their arrival. Very much integrated with the locals, he provides shelter to Conrad and his companions before explaining Kong’s role as protector on the island against the devilish crawlers, filthy Komodo dragon like reptiles. Having built a boat in from what remained of this crashed plane, Conrad, together with the war pilot and his companions, set off to escape. Coincidently, they were able to make contact with Packard and his remaining soldiers who were plotting a trap to lure Kong towards his demise. After jaw dropping explosions, gunfire and a hell raising lake of fire, it appeared momentarily that Kong had finally been defeated. However, to Packard’s dismay, he needed more to defeat the great beast of Skull Island. His death came quickly and it appeared Kong would follow the same fate when the king of the crawlers surfaces from his hole after Kong had been weakened. Despite being wounded from his fight against Packard, Kong rises to the occasion with some emphatic blows and skull cracking fists. 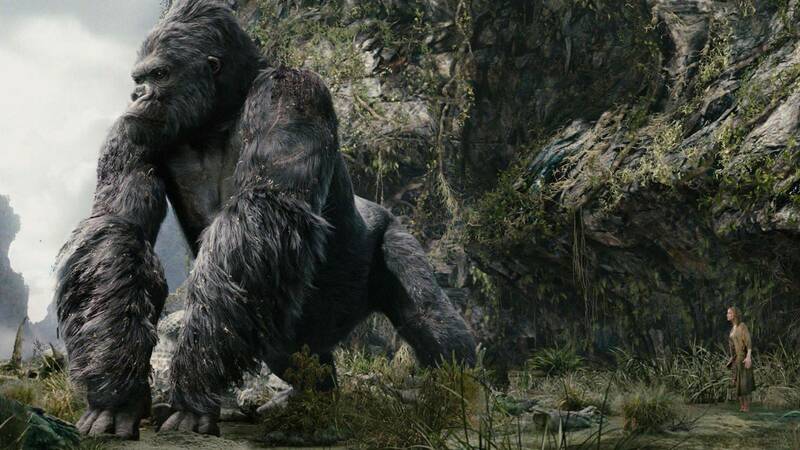 Kong defeats the king crawler and restores peace and balance on Skull Island. Conrad and his companies escape by Kong’s good graces. The cinematics in this film were astoundingly good. Fused with good humour and light hearted jokes, the film keeps the viewer entertained long enough to last the whole 118 minutes. The aerial views through the islands of Halong Bay were simply breath-taking and the producers couldn’t have picked a better spot to film. Despite this, I was expecting a story line with more memorable substance to validate seeing another one of these films in the future. However, for a fictional movie about a giant ape going bananas to protect his home turf, what more could we expect?